This night photo is kindly provided by Malcolm Cluett and shows Polly plinthed outside the Collie Tourist Information Office in September 2008. 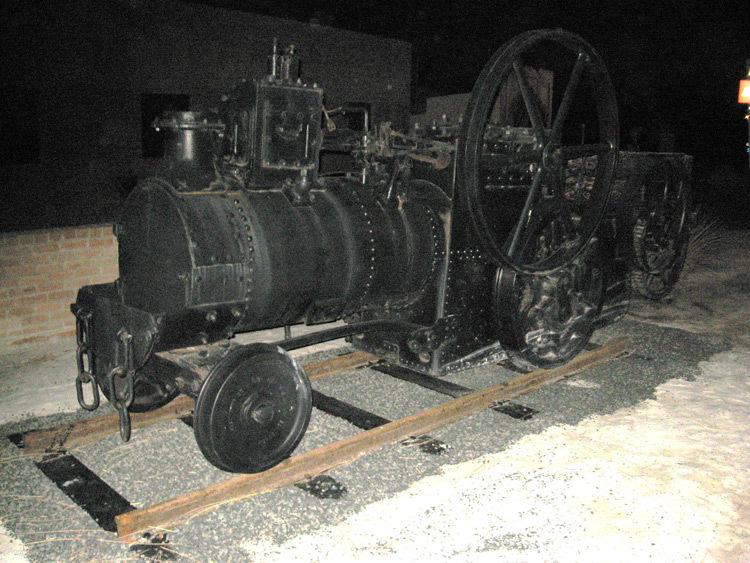 Polly is an interesting hybrid locomotive, representing an Aveling and Porter traction engine which has been modified for rail use with a resulting 2-2-0 wheel configuration. I understand the driving wheelset was originally sourced from a redundant WAGR R-class 4-4-0 express passenger locomotive. Further information about Polly and its history is welcome. Today Polly can be found plinthed outside the Collie Tourist Information Office.